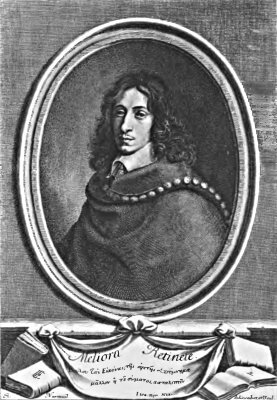 John Evelyn, author of Sylva: Or a Discourse of Forest Trees and the Propagation of Timber, 1660. 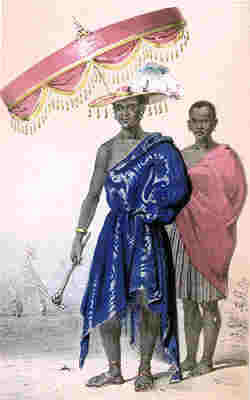 Gezo, King of Dahomey, 18?? 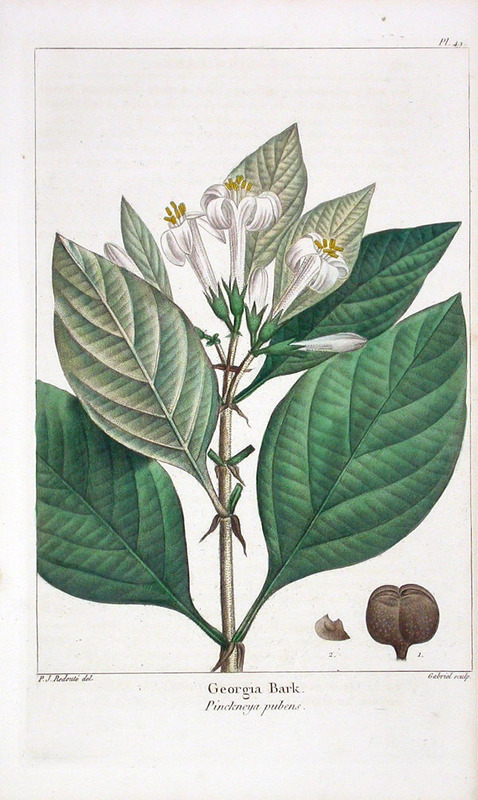 Print from The North American Sylva, by Francois Andre Michaux. Please give me and Vishwawalking.ca credit when citing from these notes. My citations are either the links contained within the notes, noted within the text or noted at the end of this page. 1. Saunterer: The evidence doesn't seem to support Thoreau's thesis. Heres' the Online Etymology Dictionary's definition: "c.1475, santren 'to muse, be in reverie,' of uncertain origin. Meaning 'walk with a leisurely gait' is from 1667, and may be a different word entirely. Some suggest this word derives via Anglo-Fr. sauntrer (1338) from Fr. s'aventurer 'to take risks,' but OED finds this 'unlikely.' The noun meaning 'a leisurely stroll' is recorded from 1828." Several online discussions seem to be unaware of Thoreau's usage. Languagehat.com, however,uses it to good effect, and refers to a John Ray who in 1674 wrote A Collection of English Words Not Generally Used, who some say is the source of Thoreau's information. The above is an illuminated manuscript on parchment from about 1270, showing Peter the Hermit, who was also called Peter of Amiens (died in 1115), preaching to the folks. Peter led 40,000 men women and children from Cologne to the Holy Land in the first Crusade. Many of the ill-equipped "paupers" who followed him either turned back early, died, or were robbed along the way,. but amidst the chaos and defeat they chalked up at least one victory in Antioch. Some say his rousing speeches got the whole Crusade craze into gear. 3. Ritter, chevalier, fourth estate: "Ritter" is a German term for "knight"; "chevalier" is the French term. You can get a fair rundown of the term, "Ritter" at The Free Dictionary. In various cultures and at various times, knights either earned their titles or had them hereditarily conferred upon them. In England today, nobility confers a non-nobility knighthood (sir") to individuals. "Rider" is another term for knight, used in the Middle Ages. Click here for a good discussion of medieval nobility. According to the notes in The Riverside Chaucer, p.1284, "rit" is a mediaeval term for "ryde," to ride forth on an expedition. It could mean "ride" or "walk." The fourth estate is the press. Before the French Revolution, the first estate was the clergy, the second was the royalty (other than the monarch who was above all this), the third estate was everybody else. The fifth estate is somewhat more nebulous, created to delineate those outside estates one to four, such as criminals or rebels beyond society's norms. Some media have called themselves the fifth estate to distinguish themselves from the mainstream fourth estate. According to Wikipedia, the first use of the term was by Thomas Carlyle in On Heroes and Hero Worship (1841), in which he wrote, "[British politician Edmund] Burke said there were Three Estates in Parliament; but, in the Reporters' Gallery yonder, there sat a Fourth Estate more important far than they all." 4. Ambulator nascitur, non fit: "Walkers are born, not made." This is a play on "Poets are born, not made." Some websites credit this saying to Sir Philip Sydney, 1554 - 1586. However, what he actually did, in The Defence of Poesie (1595) was quote an old saying: "Orators are made, poets are born." Here's what he wrote: "A Poet no industrie can make, if his owne Genius be not carried into it. And therefore is an old Prouerbe, Orator fit, Pœta nascitur. Yet conconfesse I alwaies, that as the fertilest ground must be manured, so must the highest flying wit haue a Dedalus to guide him" (lines 1675-1680). Others have generalized, crediting the quote to older poets, such as "ancient Greeks and Romans. For an 8-page riff on the phrase, see William Ringler's "Poeta Nascitur Non Fit: Some Notes on the History of an Aphorism" Journal of the History of Ideas , Vol. 2, No. 4 (Oct., 1941), pp. 497-504. You can find it at JSTOR, but if you aren't connected to an educational institution, you'll have to pay for it. "For a good poet's made as well as born," Ben Johnson (1572-1637) famously said in his "To the Memory of My Beloved, the Author, Mr. William Shakespeare" (1618, line 64) . Architect Addison Mizner (1872-1933) is widely quoted as saying "Poets are born, not paid." Horace (65-8 B.C.) said "poets wish to profit or to please." He also said that "No verse can give pleasure for long, nor last, that is written by drinkers of water." Enough. 5. Full text in Robin Hood: A collection of all the ancient poems, songs and ballads, now extant, relative to that celebrated English outlaw, Volume 1, edited by Joseph Ritson, (1887). Poem number 79, "Of Robyn Hode." Ritson's version has "whan" instead of Thoreau's 'when." Ferre: far. "it was a long time ago..."
Elizabeth Withrell cites the passage as being two stanzas from the final eight of Chaucer's "A Gest of Robyn Hood." I see no such poem in Chaucer's works. However, as the discussion below indicates, it probably dates from the time of Chaucer. Ritson quotes a short version of Thoreau's quote, but it is contained in the last 11th or 12th stanzas (depending upon how you count the stanzas) of "A Gest of Robyn Hood." A good discussion of this poem is contained here; click on the link at the end of the introduction for the poem itself. In this introduction, Stephen Knight and Thomas H. Ohlgren note that "the date of the Gest is not clear; the often repeated idea of an origin about 1400 or even earlier is almost certainly wrong. When Child said there were 'a number of Middle English forms' in the poem he meant linguistic forms, and he suggested they "may have been relics" of the ballads from which the poem was then held to be based, or, he went on, the poem itself "may have been put together as early as 1400, or before" (III, 40). This is a good deal more cautious than Gutch's confident statement that the poem dated "from the time of Chaucer or before" (1847, I, vii), which Child was implicitly criticizing. Nevertheless his words have been taken as confirmation of 1400 as a base date for the Gest, perhaps because of its resemblance in length and style to Gamelyn (undoubtedly of the Chaucerian period), and no doubt in part through a desire to find antiquity in the popular myth." Chaucer was born circa 1343 and died in 1400. 6. A penny for your thoughts: Old saying. John Heywood (1497-1580). In 1546, published a book called A dialogue conteinying the nomber in effect of all the proverbes in the Englishe tongue, in which he noted the phrase. A number of sources credit Heywood with coming up with the phrase, but he did not; he clearly notes that he is a collector of phrases. See The Straight Dope for more. 7. Napoleon Bonaparte (1769-1821). " As to moral courage, I have very rarely met with two-o'clock-in-the-morning courage: I mean instantaneous courage." From Memorial de Ste. Helene (1823). The remark was made on the 4-5 December, 1815. Thoreau bumps the hour up. Following Thoreau perhaps, it is often misquoted. 8. Doric and Gothic fronts: These are architectural styles. Doric is known mainly by the fluted Greek columns in this style. See Wikipedia for more. 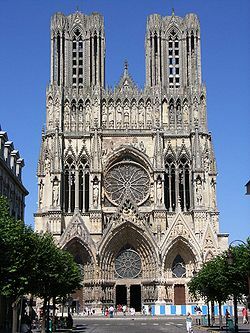 Gothic architecture comes from the high and late medieval period, from the 12th to the 14th century and even later. 11. Tan: Until late in the 19th century only the poor labourer was tanned. Pale was in. Thoreau is one of the earlier writer's to wan t to turn this around. See this Time's U.K. article for a fascinating history of tanning. 12. Mall: There are a number of definitions of "mall" that Thoreau could be referring to. None of them are those convenient but aesthetically sterile and soulless places where people shop. See this site for an interesting etymology of the word. Pall-Mall was a game played in the 17th century. The game was once played in an alley that has now evolved into Pall Mall in London, England. It can also be a walkway, sheltered by trees, which is probably what Thoreau was thinking about. 13. Platanes: A kind of tree; also spelled "platan." In Greek, "platan means "broad." (Was Plato so named because of his broad shoulders?) Thoreau was probably referring to Plato's academy, a park where he and his followers walked about and had deep thoughts. This site from the University of St. Andrews, Scotland has a detailed discussion of ancient academies: "Academus or Hecademus, a mythical hero who had a cult following, left a garden and grove, which was about a mile north west of the centre of the city of Athens, to the citizens to use for gymnastics. The area, named after Academus, was developed by Hippias, the son of Peisistratos, who built a wall round it and put up statues and temples... In ancient Athens, the Academy was first and foremost a public park dominated by its gymnasium." 14. Subdiales ambulatones: In 1660, John Evelyn wrote this in his book, Sylva: Or a Discourse of Forest Trees and the Propagation of Timber, Volume One: "Where-ever they built their sumptuous and magnificent colleges for the exercise of youth in gymnastics, as riding, shooting, wrestling, running, &c. (like to our French Academies) and where the graver philosophers also met to converse together, and improve their studies, betwixt the Xista, and subdiales ambulationes (which were portico’s open to the air) they planted groves and walks of platans, to refresh and shade the Pal�strit�." Could this book, (updated and reprinted in 1786) be what Thoreau was referring ot in this section, with reference to the philosophers, plantanes and porticoes. In Evelyn's description, the subdiales ambulationes are the porticoes open to the air. Is Thoreau playing with us here, or did he get his Latin twisted a bit? The similarity of terminology is convincing enough to make us think Thoreau had Evelyn in his library. 15. King of Dahomey: The present African country of Benin, nestled between Ghana and Nigeria was, until 1975, called Dahomey. In the mid-17th century a series of kings ruled the country. They owned all the land and extracted substantial taxes from farmers for use of it. They also had a complete monopoly on trade. They dealt mostly in the slave trade, which did not endear them to their neighbours. later on they developed a business in palm oil, but it was mostly the slave trade and thus their dealings with Europeans that made them wealthy. When they acquired rifles from the Europeans, they used them to develop their slave trade and to acquire more land. For more information on slavery. click here. Wikipedia's article on Dahomey outlines the country and their kings' involvement in the slave trade. 16. Three-score-and ten: The seventy years of life, we have on this earth. The old testament Bible, St. James version, Psalms 90, v.9, 10 refers to the term: "For all our days are passed away in wrath: we spend our days as a tale that is told. The days o our years are threescore years and ten; and if by reason of strength they be fourscore years, yet is their strength labour and sorrow; for it is soon cut off and we fly away." The term is actually a English, from the Middle Ages. See here for more. 17. Stygian fen: The reference is to the river Styx, which flows through hell (thus the reference to the devil and his minions). A fen is generally a boggy place with peat holding the water in. I've outlined a more specific definition here. Thoreau has created an image of a "worldly miser" so bent on acquiring land and riches that he consorts with the devil (the "Prince of Darkness") and ignores the priceless beauty around him. 18. Quadrivial: Derived from quadrivium, a crossroads or a meeting of four places (from Miriam Webster). 19. Village, etc. : I'm not sure of Thoreau's etymology here. The Online Etymological Dictionary says "village" comes from the Latin villaticum, meaning "farmstead." Of via, the dictionary has this to say: "1779, from L. via "by way of," ablative form of via "way, road, channel, course," of uncertain origin; not definitely connected with vehere 'to carry convey.'" I had trouble tracking ved (Thoreau's definitely not referring to the British Vehicle Excise Duty, a road tax!) and vella (but see Varon, quoted below). "For that reason the persons who are placed in charge of the two occupations [herdsman and farmer] have different names, one being called vilicus, and the other magister pecoris. The vilicus is appointed for the purpose of tilling the ground, and the name is derived from villa, the place into which the crops are hauled (vehuntur), and out of which they are hauled by him when they are sold. For this reason the peasants even now call a road veha, because of the hauling; and they call the place to which and from which they haul vella and not villa. In the same way, those who make a living by hauling are said facere velaturam." One translation of facere vellaturam (single or double "l") at another source was "transport fees" so perhaps the (modern) British VED is not so far off! Vile is indeed derived from vilis, which means, cheap or worthless, and "villain" is a "base and low-born rustic" derived from villa, "a country house." So, Thoreau has led us, in a short paragraph, through quite a labyrinth, though some of the connections are tenuous. Nevertheless, Thoreau's etymology shows us "what kind of degeneracy villagers are liable to." By the way, the Online Etymological Dictionary, which I relied on heavily here, is an excellent source; take a ramble through it if you want to amuse yourself with the kind of ruminations (cow-like I'm afraid rather than camel-like, at least initially — see above note #11) that Thoreau indulged in. Menu is perhaps more familiarly known as Manu. Thoreau is referring to the Laws of Manu. Most scholars agree that the Hindu text is a composite, put together between 200 BC and 200 CE. It is an Indian Vedic text, outlining laws that lead to a proper way of living. Emerson is credited with first giving Thoreau a text of the Laws of Manu. Thoreau subsequently published some of the laws in The Dial, a short-lived journal devised by notable transcendentalists of the day. He also enthused over the Menu in his journals. Moses: the Hebrew biblical hero, born around 1391 BC. Se the Wikipedia article for details. 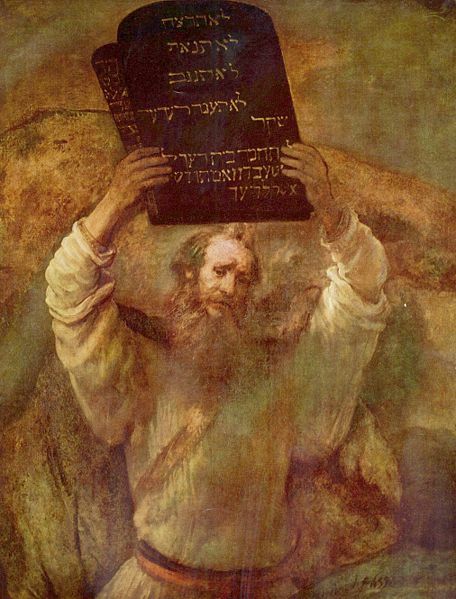 Moses is reputed to be the author of the Torah. He narrowly escaped death as a baby by being hidden in a wicker basket and floated down the Nile. In a warlike time, he led the Hebrews to safety away from the Egyptians, by parting the Red Sea. He brought his people the 10 commandments, written in stone, which he smashed in anger after seeing how his people behaved while he was away chatting with God. 21. The Old Marlborough Road: still researching. 22. Martial Miles, Elija Woods and Elisha Dugan: I cannot find any reference to Miles, except that he was perhaps a friend or student of Thoreau's. According to Walter Harding (see citations below), p. 76, Wood was a student of Thoreau's at his Concord Academy. When other teaching plans fell through, Thoreau opened his own private school at his family home, Parkman House on Main Street in Concord. I am still looking for references to Elisha Dugan. 23. Irishman Quin: still researching. 24. Gourgas, Lee, Clark and Darby: According to Withrell, these are names of Concord town officials in the 1840s. 25. 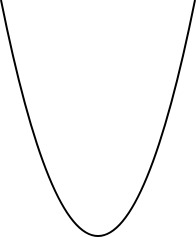 Parabola, comets and non-returning curves: A parabola is best described by an image (see left). My Oxford says this: "An open plane curve formed by the intersection of a cone with a plane parallel to its side, resembling the path of a projectile under the action of gravity." See Wikipedia for more. Comets and non-returning curves: Comets, like Haley's and others, return regularly in a predictable orb. However, others, such as an Oort Cloud, "have little respect for the ecliptic plane. The Oort Cloud is spherical, meaning that its residents orbit the Sun at any angle that pleases them... Most non-returning observable comets originate within the Oort Cloud. Their tremendous distance creates the potential for gravitational interference from passing stars Comets such as Hale-Bopp and Hyukatake are believed to have been tweaked out of their original orbits by a close encounter with a passing star, changing the shape of their orbit in a way that sent them streaking through the inner solar system. Billions of comet nuclei call the Oort Cloud home." From Bruce Mattson's Comet's: the Ugly Ducklings of our solar system." Mattson's piece is humourous and a good intro to comets. "In 1964, millions of squirrels emigrated from the north of Georgia to the south. "One squirrel was reported swimming across the Allatoona Reservoir and encountered a boat in his path. It didn’t stop him. He just ran up an oar, jumped in the boat, ran across the man in the boat, and jumped back into the water continued his swim south. Normally wild squirrels in the woods are scared of man but during migration they lose their normal fear. In 1968, a migration of squirrels occurred in most of the eastern United States; Alabama, the Carolinas, Georgia, Maryland, New York, Pennsylvania, Tennessee and Virginia. In New York, one hundred thousand drowned squirrels were pulled out of one reservoir." — from Eastern Gray Squirrels, actually a site about a breed of dog, but the quote is good. You can find innumerable others. 31. Then longen folks...: Lines 12 and 13 from Fragment 1 (Group A) General Prologue to Chaucer's Canterbury Tales. The spelling in the Riverside Chaucer (p. 23) is: Than longen folk to goon on pilgramages,/And palmeres for to seken straaunge strondes." (Then folks long to go on pilgramages,/And palmeres seek foreign shores. 32. Island of Atlantis, garden of Hesperides: researching. 33: And now the sun has...: These are the last four lines from John Milton's "Lycidas," first published in 1638 in a collection of elegies to Edward King. 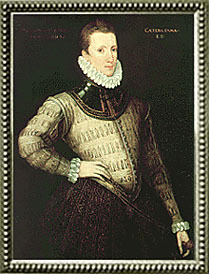 A year before, King, Milton's Cambridge college mate, had drowned when his ship sank off the shore of Wales. The entire poem, with notes, can be found here at a Dartmouth College site. Thoreau has modernized some spellings and ignored a couple of contractions ("stretched" for "stretch'd, for example). This note can be found at the beginning of the poem: "In this Monody the Author bewails a learned Friend, unfortunately drown'd in his Passage from Chester on the Irish Seas, 1637. And by occasion fortels the ruine of our corrupted Clergy then in their height." A "monody" is, predictably, "a poem lamenting a person's death." It also can mean "an ode sung by a single actor in a Greek tragedy" or in music " a composition with only one line" (definitions from The Oxford Dictionary). 34. Michaux: The North American Sylva, by Fran�ois Andr� Michaux (1770-1855), is still probably the most comprehensive study of trees in the United States, Canada "and Nova Scotia." Michaud did his study in the early 1800s, under commission from the French government. I haven't yet been able to track the location of Thoreau's quote. 35. 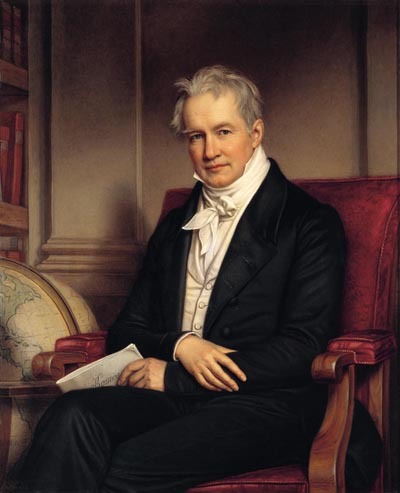 Humbolt: Alexander Von Humboldt (1769-1859) was a German botanist. In 1799, he began tour to South America, Mexico, Cuba and finally the United States (From answers.com.). He then published, in French, his Personal Narrative of Travels to the Equinoctial Regions of the New Continent, During the Years 1799-1805, which chronicled his observations. An English translation followed. 37. Michaux (the younger): the reference is to Fran�ois Andr� Michaux again (see note #34 above). The quote is taken from Travels West of the Alleghany Mountains, "in the states of Ohio, Kentucky to Tennessee and back to Charlston, by the upper Carolines... undertaken in the year 1802. September 24, 1801-March 1, 1803." The original translation from the French, made in the early 1800s, was "These states, where thirty years ago there was scarcely three hundred inhabitants are now computed to contain upwards of a hundred thousand; and although the plantations on the road are scarcely four miles distant from each other, it is very rare to find one, even among the most flourishing, where one with confidence cannot ask the owner whence he has emigrated; or according to the trivial manner of the Americans, 'What part of the world do you come from ?' as if these immense and fertile regions were to be the asylum common to all the inhabitants of the globe." A 1904 edition of the work can be found here, and the quote on page 161. This volume also contains work by Andr� Michaux, the dad of Fran�ois. Andr� was a botanist in his own right and travelled both alone and with his son in the trip mentioned in note #34. 38. Ex Oriente lux...: researching.